A few weeks ago, a group of hikers and adventurers through Twitter had a chat about some of the biggest problems that were facing public lands. 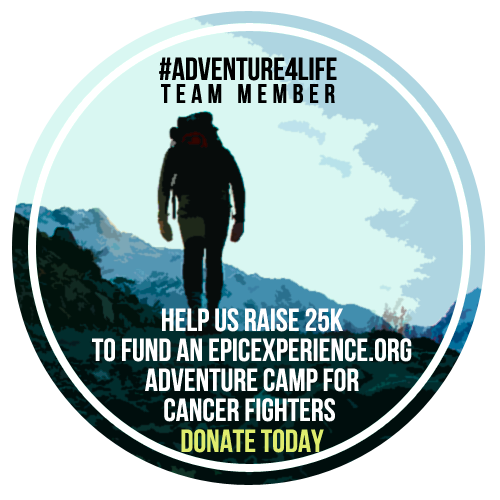 Among the issues of not having enough money or having enough volunteers, a very underreported problem arose. 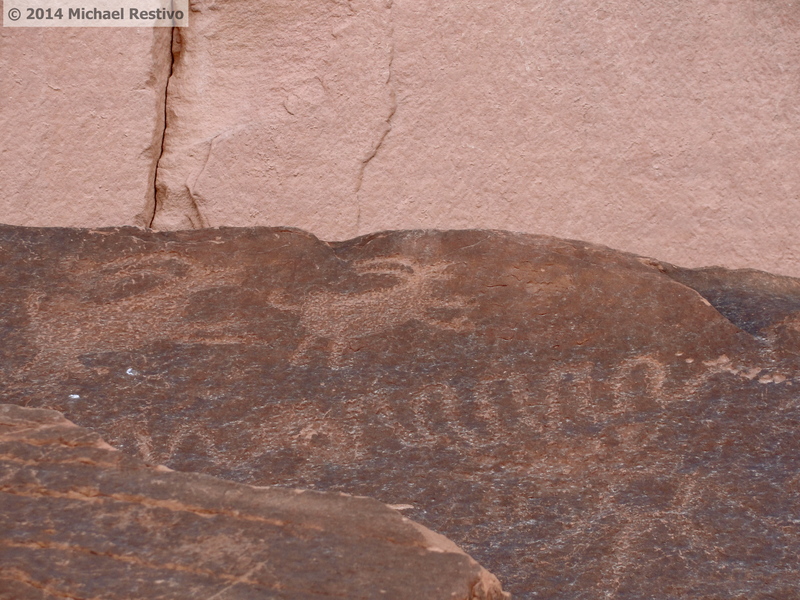 The destruction and defacing of ancient Petroglyphs. 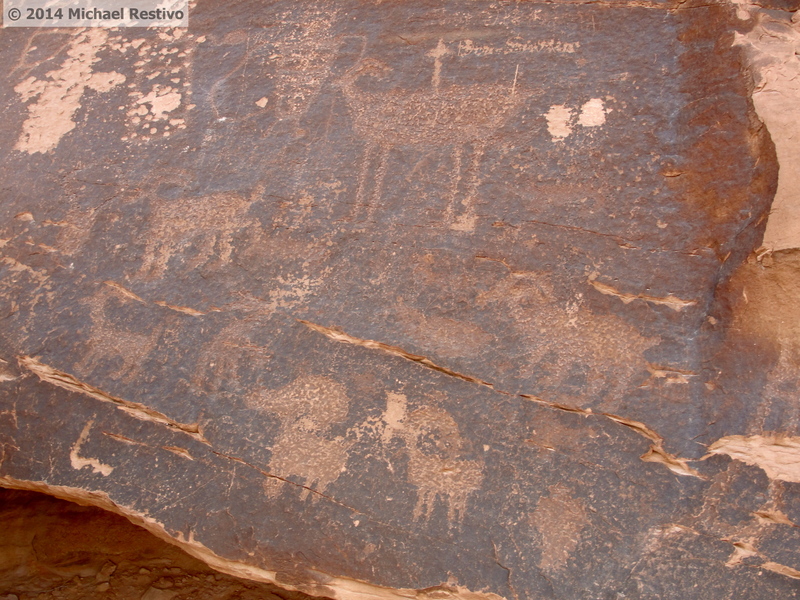 The Petroglyphs are pieces of Native American art and lore carved into the sandstone faces in Utah and the gray granite of the Pacific Northwest. These galleries of ancient art are unprotected, unguarded, and numerous times have faced defacing, destruction, and unrestored exposure to the elements, threatening to destroy thousands of years of human history. I’d like to bring to light the case for protecting and restoring these spectacular natural galleries. My feet tracked across Highway 191 just north of the town of Moab looking for the Courthouse Wash Petroglyphs, a series of symbols, figures, and prints carved into the sandstone canyons. 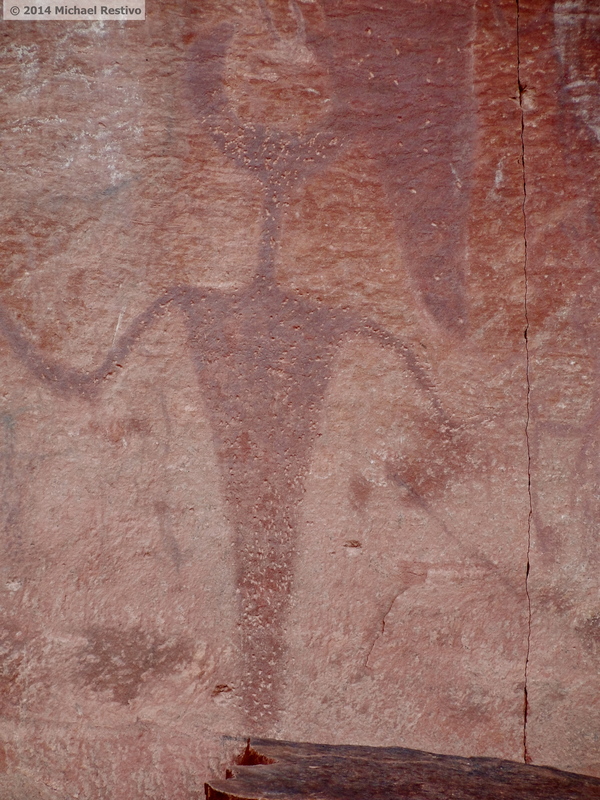 This 19 x 52 foot panel revealed some of the most visible and most easily accessible examples of Native American rock art in the area. I walked past Lin Ottingers famous fossil shop, past the remnants of Moab’s uranium mining past and its failed resort operation and in a sense I was walking back in time as the walls became more apparent and civilization less so. Crossing a small bridge over the Colorado River, I stopped to look up at the talus above, seeing no apparent visual markers, no drawings on the cliff face and I stopped to check the map, knowing that I had to be in the right place. Then I saw the figure. A ghostly apparition in chalk, a legless humanoid object rising from the floor. Thin arms, devil horned like head, faceless but steeped in lore and legend. Natural climbing instincts took over and I started making my way up the pile of loose stone and scree. The closer that I was getting the clearer that these symbols appeared: images of big horned sheep, bear, dogs, figures with spears on the rocks while on the wall: images of towering figures holding spheres, arms outstretched in signs of praise and all with a sense of design, scale, and perspective. I’d be lying if I said I didn’t feel tears as I felt like I had stumbled upon a treasure trove of artistic history and here I was taking it in for myself. This wasn’t standing in the Louvre with the Mona Lisa in front of thousands of tourists, this was my own private complementation of history. And it came so close to being erased. 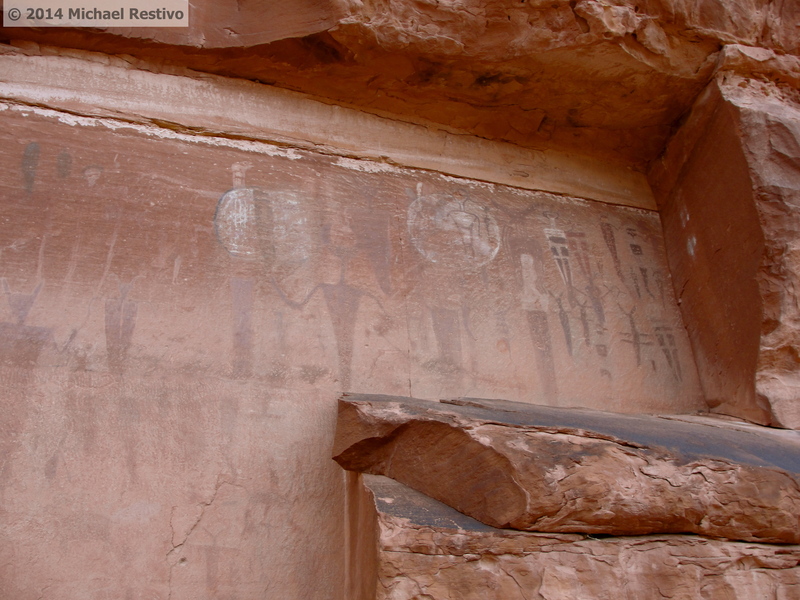 Although in 1976 the Courthouse Wash Pictographs were put on the National Register of Historic Places, four years later they were heavily vandalized as they go largely unprotected due to their exposure and location high on the rock face. The pictographs are said to be among the oldest in the area ranging between 1500 and 4000 years as they depict the earliest figures before horses (introduced by the Europeans) and weaponry. 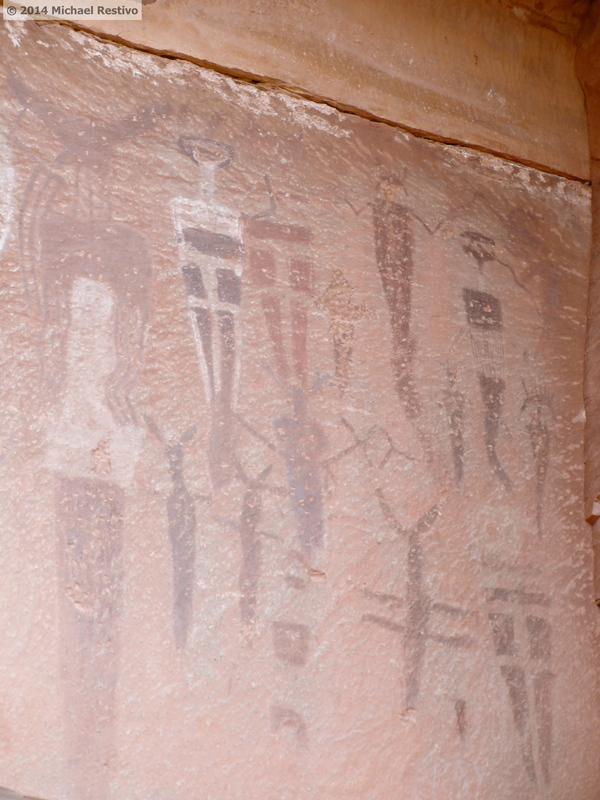 Pictographs serve a number of reasons: Some were used for storytelling purposes, much like a painting in a church, used to depict legends and folklore to pass on among generations. Others are like road signage, depicting migratory patterns of animals used for hunting, or marking a river, obviously the Colorado that ran below, with long squiggly lines, possibly indicating a flood zone. The desert varnish that lines the rock in the Moab and Canyonlands area created a natural canvas which fully retained the imagery as it was intended to be seen. Petroglyphs run across the United States appearing in Arizona, New Mexico, Utah, and Colorado, but contemporaneously, the tribes of the Pacific Northwest started to draw creatures on stones and rocks in what is today Western Washington. Incredible depictions of orcas and sea creatures mixed with Shamanic imagery makes it a unique contrast to the Southwestern desert style. These northwest drawings and sculptures face their own problems: erosion, wave action, wind, and vandalism of the stones, left unprotected by the beachside, threaten to erase an entire piece of ancient northwestern culture. Although these petroglyphs are out in public and not guarded like a great museum, the same adages must apply: look but don’t touch. These are natural galleries that have survived for epochs, through most of human history, and offer a glimpse into a shared past not only of the land, but of the people who inhabited it before modern civilization began. Hike out in the desert and enjoy the free galleries but do so responsibly. The more that we teach ourselves to protect them, the more generations will get to enjoy them.